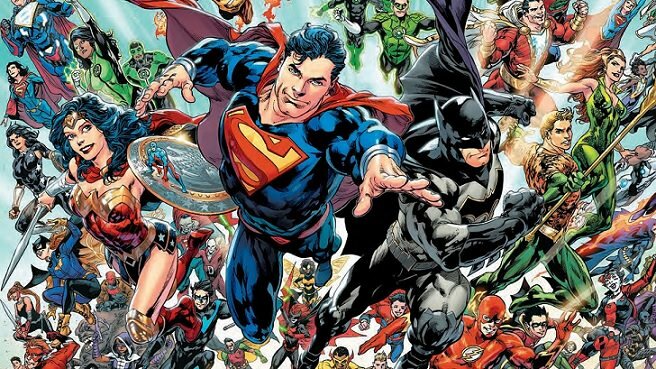 Yesterday we discussed Marvel vs. DC – Which is Better? 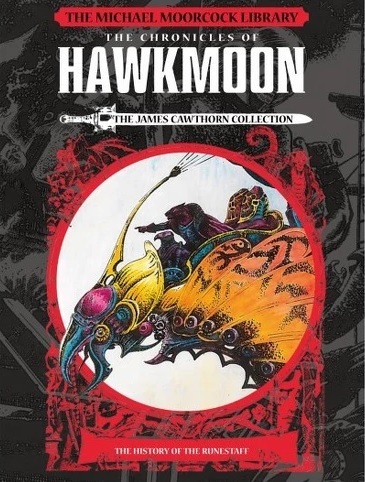 Follow the adventures of Dorian Hawkmoon, Duke of Köln, as he fights against the Dark Empire of Granbretan and attempts to free himself from a malevolent black jewel that has been implanted in his brain. Out of print classics, adapted by James Cawthorn, are collected together at last as part of Titan’s acclaimed Michael Moorcock Library. AfterShock Comics announces the release of an all-new, fully illustrated tale from the critically-acclaimed world of ANIMOSITY, written by title creator Marguerite Bennett (INSEXTS, DC Comics Bombshell, Batwoman) and illustrated by Elton Thomasi (Hassas, Socket) with cover by Rafael De Latorre (SUPERZERO). 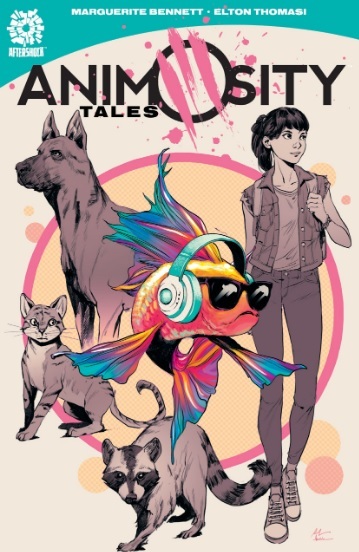 Debuting on Free Comic Book Day in May 2019, ANIMOSITY TALES is an extension of the dystopian world of ANIMOSITY, which is currently being adapted for the big screen by Legendary Entertainment, and brings readers intertwined tales of three lives and a date with destiny amid a black comedy apocalypse where animals take revenge. Out of every comic book I’ve read the last few months, the Heroes in Crisis series is the one I really feel deserves its own podcast. So many themes, layers, and angles to cover, I feel I’m doing it a disservice by just giving it a rating and telling you all to go read it. 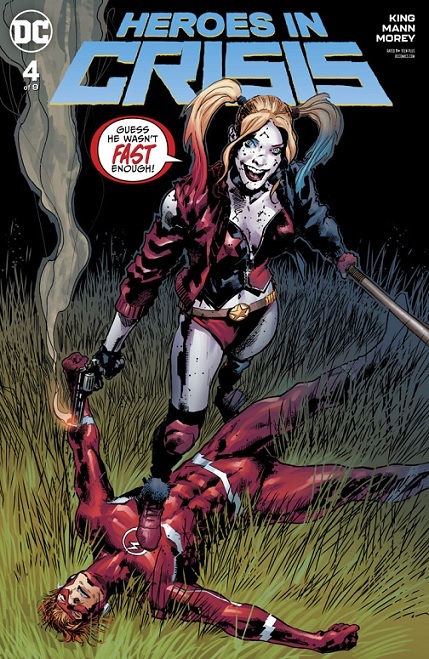 Heroes in Crisis really gives weight to the magnitude of DC’s history. It takes little things that you might think were an editorial mistake and slides them into a characters story like it was meant to be there from the start. What I enjoy most is that it gives a more mature take on DC, that’s appreciated. The fourth issue really nails it, with Tom King balancing a number of “DC moments” and institutions that we might think we know all there is to know but have overlooked some minute point. I’m talking stories like The Killing Joke and books like Teen Titans and Justice League International. We also get a nice, realistic tweaking to the Batman, Superman, Wonder Woman dynamic. The art is sensational, the story is thrilling, and you get versions of Booster Gold, Blue Beetle, Batgirl, and Harley Quinn that feel both familiar yet fresh. I truly love the series and believe you will as well. Here we are with Extermination #5 and it’s the finale of a miniseries that ties up all the loose ends but still feels lacking. I’m not sure how to rate this and will probably need to read it a few times before I finally settle on whether I liked it or not. First impression? It was…good. With the mutants convoluted history, you’re bound to have confusion and continuity hiccups. Spoilers ahead. So we get original X-Men sent back to their place in the timeline and the big (not really shocking) return of the adult Cyclops. I find the X-men corner of the Marvel universe too inclusive. It feels like they’re trying too hard to reboot things to the way they were without making too many changes, minimizing the tweaks they’ve made in the past. Extermination is done but X-Men: The Exterminated is ready to go. I need a breather, a non-series run to let these characters find their place. As a series, Extermination answered a number of questions but did so in a way to set up what’s next. Good, not great.